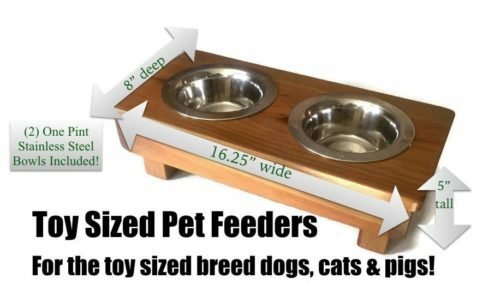 OFTO Elevated pet feeder is a handcrafted and 100% eco-friendly raised feeder that is made in the USA. 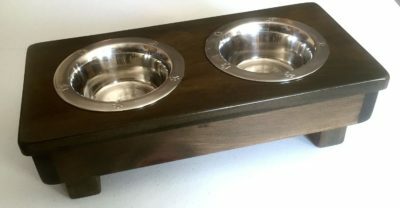 The unit uses natural stains and finishes which is durable and safe for your pet, even if your furry friend chews on it, it won’t harm it, unlike other products using chemicals, polyurethanes and stains that can poison your pet. 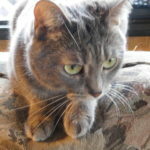 Raising the food helps your pet have a better position when eating, promoting a better digestion and reducing strain in its muscles, joints and bones. 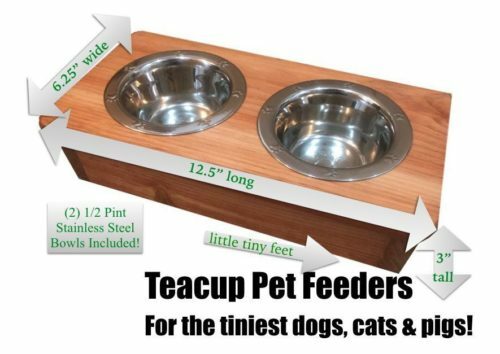 The feeder comes in 5 sizes: Teacup, Toy, Small, Medium and Large. 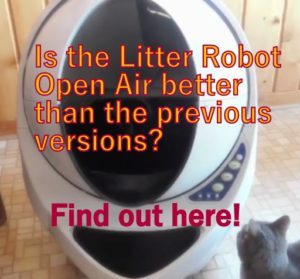 This review is for the Teacup and Toy sizes, more suitable for tiny dogs and cats. 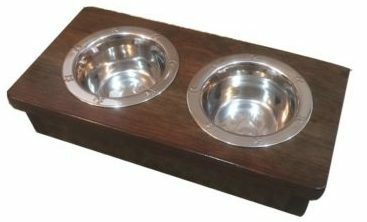 These handcrafted 100% solid wood elevated feeders are made by a 7- step process that ensures a durable finish which gives them that unique soft and beautiful look. 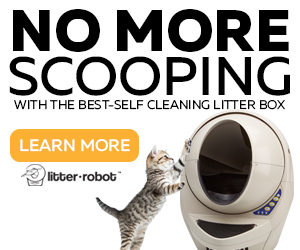 Also, this makes the surfaces easier to clean up with a damp cloth. 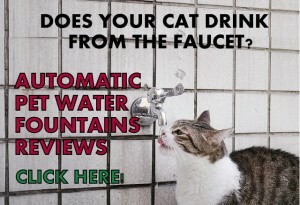 Eco-friendly, with natural ingredients that make it safe for your pet, even if he or she chews on it. Allergen free and non-toxic, safe for kids too. Teacup Size Bowl capacity: 1/2 Pint, each. Toy Size Bowl capacity: 1 Pint, each. Colors: Rusty Nails, Natural, Forest Trail. 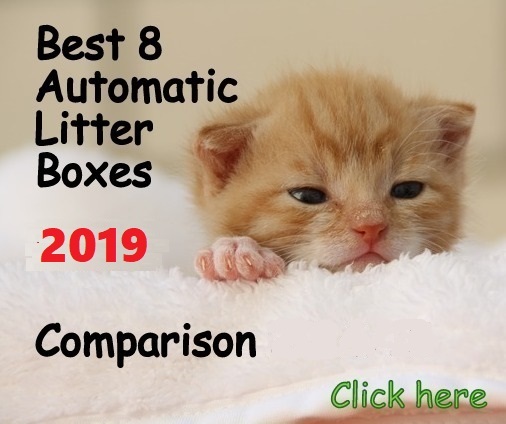 If you wonder what’s the best size for your cat you need to do a measurement from the floor to your cat’s shoulders and the elevated feeder you choose needs to have the same distance from the floor to the surface o a little lower. 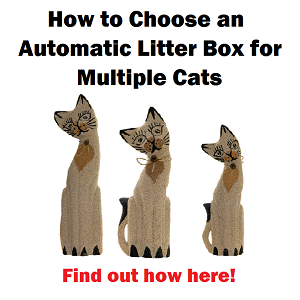 In other words, pick a feeder that has the same height than your pet’s chest or a little higher. The higher from the chest, the less your cat will have to lean over when eating. 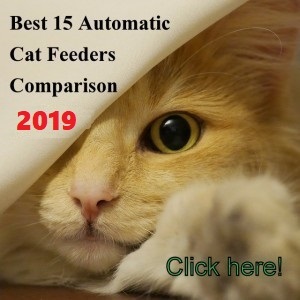 If you have a disabled or elderly cat and you want your pet to have the least muscle and bone stress possible, there is a tilted elevated feeder that will make it even easier for your cat to eat from it. Teacup size is more suitable for small cats and kittens. 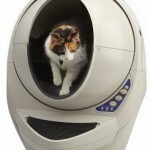 Toy size is suitable for regular sized cats. For big breeds the next size Medium that is 7” tall could be the most suitable. 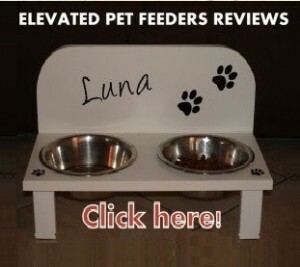 The feeder is beautiful, it looks like a piece of furniture. 100% made from real wood. Well made and sturdy. The wood and craftsmanship are of a high quality. Bowls hold plenty of food and water. Dark color shows some water spots. If you want to use one of the bowls for water (and you don’t want to keep cleaning water spots), try to get a color that is not as dark. If you get water spots, just wipe them clean with a soft damp cloth. If you want more details about the available colors or how to match them with your decor, click here. 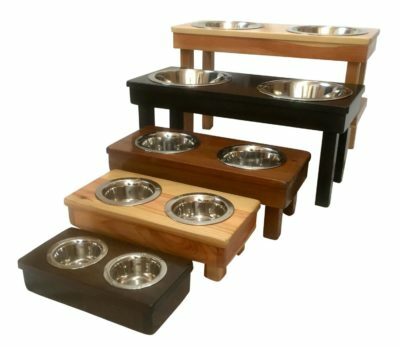 OFTO Elevated pet feeder is made from 100% real wood and that alone is a huge difference in comparison to other brands. 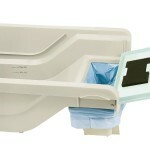 The unit is handcrafted, made in the USA with a high quality standard, I would say this feeder it’s made to last. 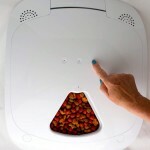 I recommend this unit for any cat owner that needs a quality and durable raised feeder.